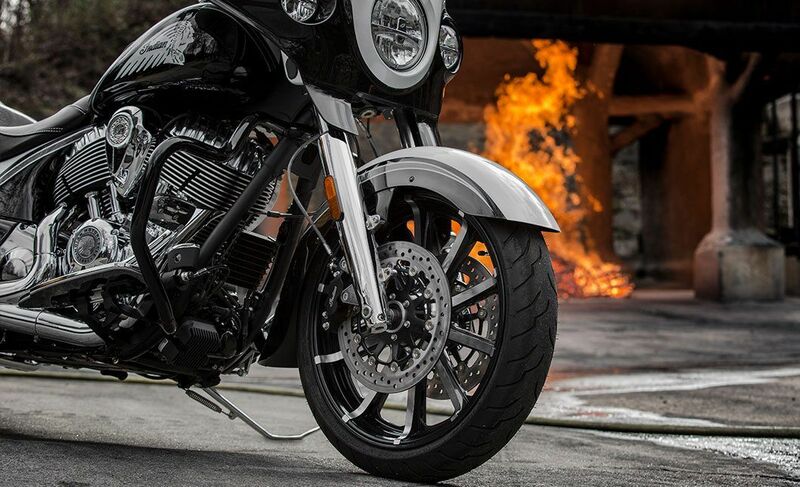 America's first motorcycle company. America's first registered distillery. One legendary bike. 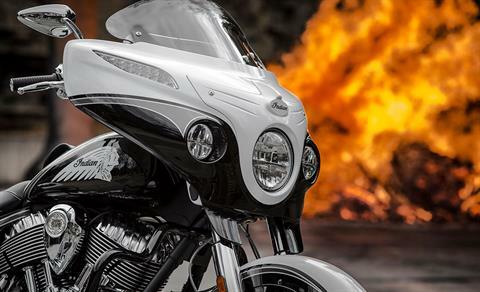 This marks the second year that two distinctly American brands joined forces to deliver a unique, V-twin-powered celebration of American craftsmanship. 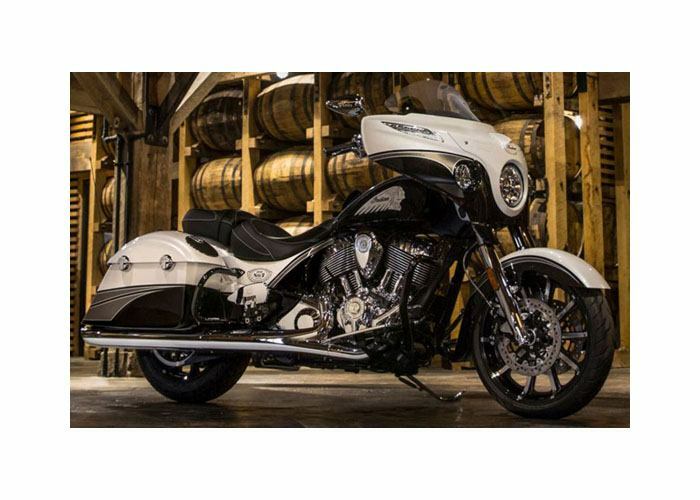 Inspired by the legendary success of Jack Daniel's® 150th Anniversary motorcycles, Indian Motorcycles® and the Jack Daniel’s® Distillery once again partnered with Klock Werks Kustom Cycles to design the new Indian® Chieftain®. This once-in-a-lifetime motorcycle expresses both brands' mutual commitment to independence, originality, and ingenuity. The Jack Daniel’s® Limited Edition Indian® Chieftain® blends an intimidating presence with an ultra-premium look. Featuring Jack Daniel's® themed custom finishes from fender to fender, this bike reminds us that true American craftsmanship lives in the details. 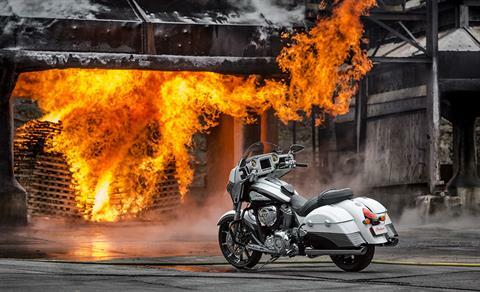 Only 100 of these bikes will be built, so act fast to claim yours. The Jack Daniel’s® Limited Edition Indian® Chieftain® starts at U.S. $34,999. 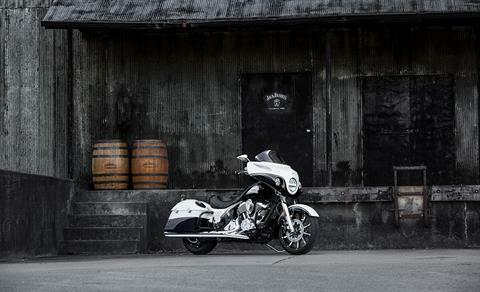 Visit or call your local Indian Motorcycle dealership to order. Orders open 12pm EST on March 14, 2017. Each Jack Daniel’s® Limited Edition Indian® Chieftain® will come with a commemorative American flag that is handmade from Jack Daniel’s® barrel wood and includes a customized plaque with the owner’s name, motorcycle number (#001-#100), and VIN (Vehicle Identification Number). 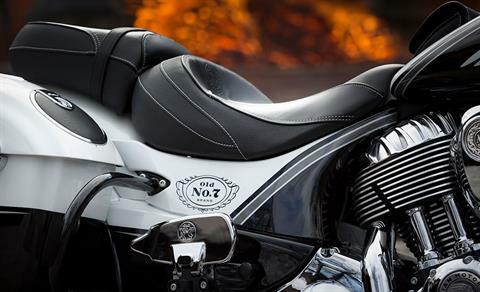 *Specifications listed are for the standard model Indian Chieftain®. Limited Edition specifications may vary. 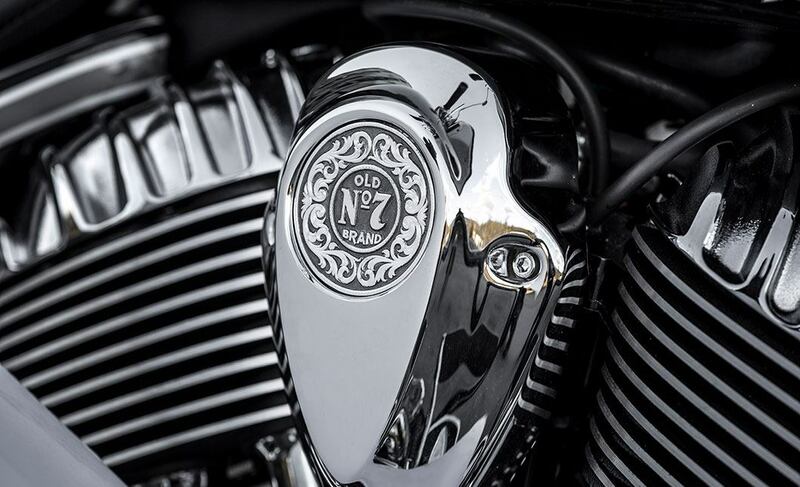 Specifications listed are for the standard model Indian Chieftain®. Limited Edition specifications may vary. 19-inch, 10-spoke contrast cut front wheel and open fender. A pure silver Jack Daniel’s horn cover badge, hand-crafted by Montana Silversmith. 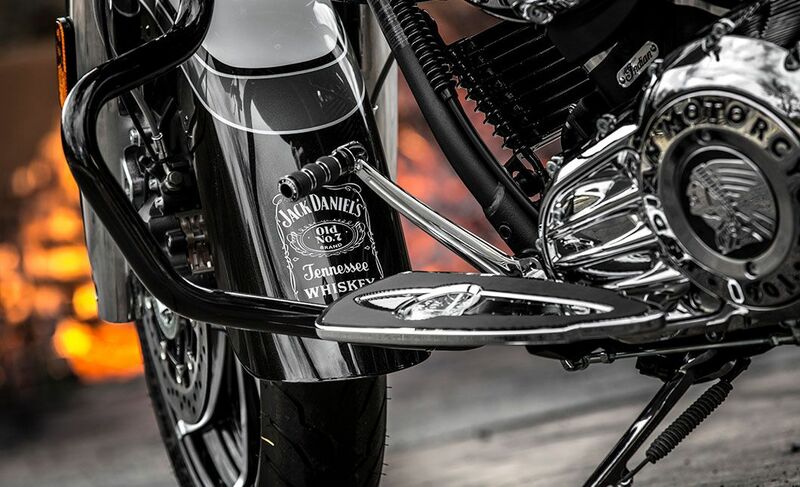 One-of-a-kind white and black crystal paint job with Jack Daniel’s-inspired charcoal-colored accents. Jack Daniel’s “Old No. 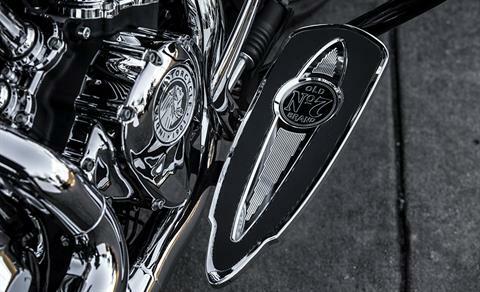 7” billet driver and passenger floorboards. Debossed leather tank pouch with Jack Daniel’s “Old No. 7. 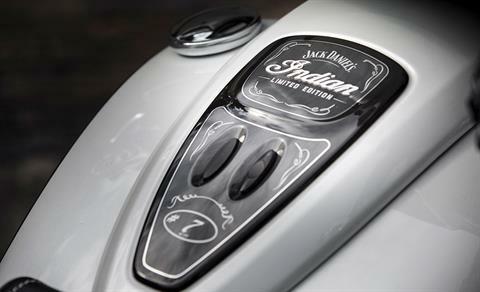 Custom embossed tank console with unique build number. 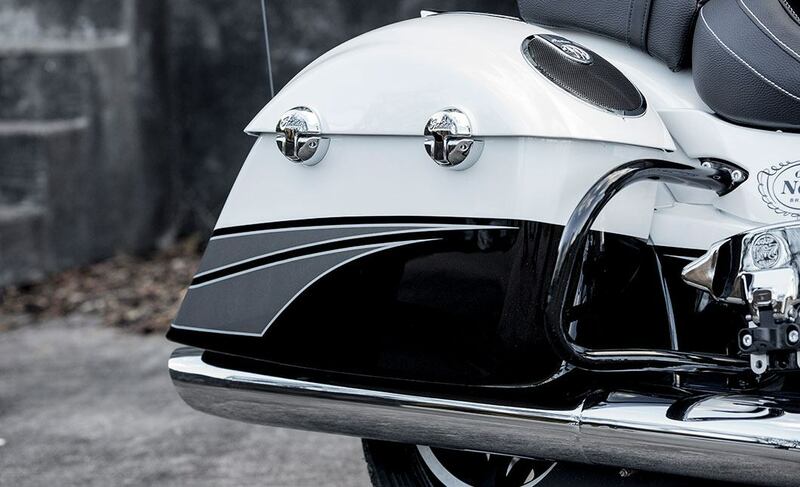 Unique cam, primary and air intake covers. Inscription of Jack Daniel’s “Bottles and Throttles Don’t Mix” mantra. 200 watt audio system including premium saddlebag audio.